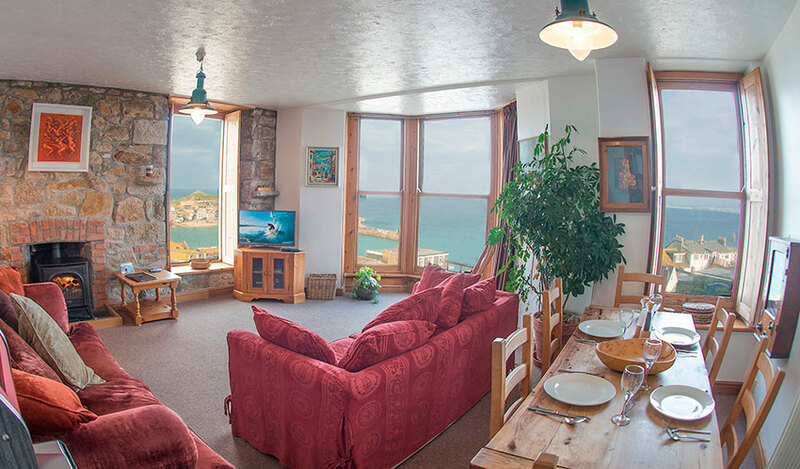 Looking out over the harbour and bay of the beautiful St. Ives, Pednolver St Ives holiday apartments offer uninterrupted breathtaking views from almost every room. 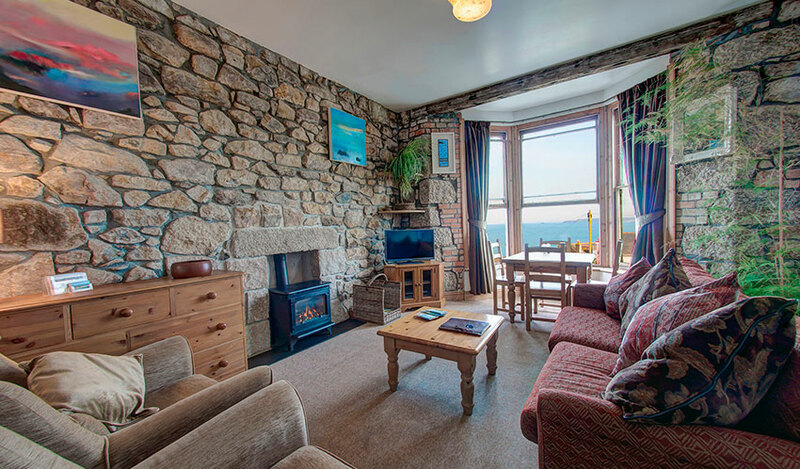 This 4 storey, former sea Captain’s house dating back to the early 1900’s, offers unique panoramic views of St. Ives. Staring out of the many windows, you’ll see quaint, tiled roofs tumbling down to the bustling harbour’s edge, the sea, the horizon and beyond. 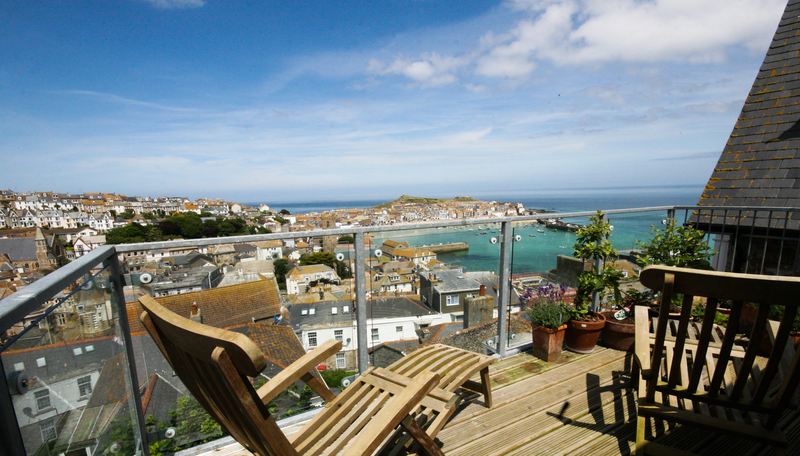 Stretching out into the distance, framed by the arms of the bay, ever-changing under the famous ethereal sunlight of St Ives, you’ll be able to wallow in what are perhaps the most beautiful views in town. Perched above St. Ives, and yet only a stones throw away from both the beaches and town centre, Pednolver comprises of three spacious apartments, each filled with character, beauty and quirky period features which blend together to create a unique sense of homely comfort and opulent serenity. 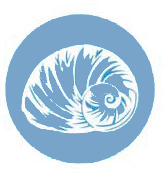 Tastefully and sensitively renovated, our luxurious apartments are finished with oak units and polished granite effect worktops in the kitchens, porcelain tiles in the bathroom, heavy oak window shutters and solid wood furniture. Throughout each is an array of original artwork and huge windows, complimenting and maximising the amazing views. Exposed brickwork and feature granite walls lend charm and elegance to the overall ambience. 2 Bedroom. Sleeps 4-6 people. 2 Bedroom. Sleeps 2-4 people.